The Free USCF Membership Tournament held Saturday at the Murray State University Paducah Campus saw a huge turnout, with 127 students playing and two new teams taking part. 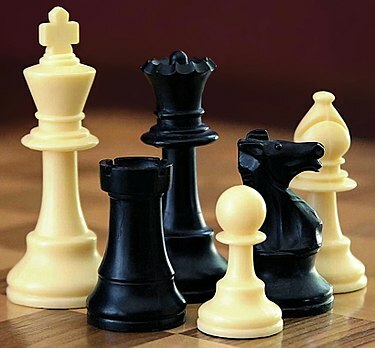 Paducah Tilghman High School fielded a chess team for the first time in at least a long time, if ever, and a Paducah homeschool organization called Parents As Teachers in Christian Homes (PATCH) brought players to the K-3 (low elementary school) division. The top six teams in each division won trophies, while the top eight players earned medallions. Crittenden County High School took the K-12 (high school) division team title, tying for first place with 10.5 out of a possible 16 points and winning the title on tie-breakers. The Pennyrile Area Christian Home Educators of Kentucky (PACHEK) of Hopkinsville took second place, while Graves County High School was third with eight points, Hopkinsville High School tied for fourth with six points and won the tie-breaker with Calloway Home-Educated Students (CHES) and Paducah Tilghman was sixth with three points. Players got one point for a win and a half-point for a draw. Schools had to have at least two players to earn team points, with the top four players’ points going toward the team score. In the K-8 (middle school) division, Lone Oak Middle School took the team title with 12.5 points. Crittenden County Middle School was second at 10.5 points, Murray Middle School was six points, CHES was fourth at 3.5 points and PACHEK was fifth at two points. Murray Middle School won the K-5 (high elementary) division, tying for first with 14 points out of a possible 20 with Lone Oak Intermediate School, but winning the title on tie breaks. South Christian Elementary School was third with 11 points and Crittenden County Elementary School was fourth with seven points. The K-12 and K-8 divisions played four rounds, while the K-5 and K-3 divisions played five. Murray Elementary School won the K-3 division title with 15 points, narrowly edging out second-place Crittenden County Elementary, who had 14.5 points. South Christian Elementary School was third at 10.5 points, followed by I-Patch (Illinois students attending PATCH) at 10 points, Herndon-Lone Oak Elementary School winning the tie-breaker with Herndon-Lone Oak Elementary School at six points and PATCH in seventh at four points. Individually, Liam Hereford of CHES took the K-12 title with a perfect score of four points, giving Chase Stevens of Crittenden County High School his only loss of the day. Stevens placed third with three points. Others earning top-eight medallions included Bryce Page of PACHEK, who finished second with 3.5 points, Hannah Crisp of PACHEK was fourth with three points, Thomas Stratton of Hopkinsville High was fifth with three points, Clay Stevens of Crittenden County High was sixth with three points, Kyle McDaniel of Graves County High was seventh at three points and Steven Swinford of Crittenden County High was eighth with 2.5 points. In the K-8 division, Andrew Orr of Murray Middle School won the title, tying Owen Cody and Miller Green – both of Lone Oak Middle – with 3.5 points. Orr won the tie-breaker for first place, while Cody took second and Green was third. Evan McDowell of Crittenden County Middle was fourth with three points, Manav Shah of Herndon-Lone Oak Elementary was fifth with three points, Elliott Russell of Crittenden County Middle was sixth with three points, Marianna Hereford of CHES was seventh with 2.5 points and Nickolas Holcomb of Murray Middle was eighth with 2.5 points. In the K-5 division, Landon Ulrich of Murray Middle School won the title with a perfect five-point score. C.J. Sullivan of Lone Oak Intermediate School was second with four points, Alexandrea Orton of South Christian Elementary School was third with four points, Ella Chuppe of Lone Oak Intermediate was fourth with four points, Abel Prude of PATCH was fifth with four points, Kenneth Roach of CHES was sixth with four points, Hayden Hildebrand of Crittenden County Elementary was seventh with four points and Caden Skaggs of Lone Oak Intermediate was eighth with three points. In the K-3 division, Zak Smith of Crittenden County Elementary won the title with 4.5 points. Jake Rich of Crittenden County was second with four points, Ansh Shah of Herndon-Lone Oak Elementary was third with four points, Kenzie Myers of Murray Elementary was fourth at four points, Dwinata Marjadi of Murray Elementary was fifth at four points, Jayden Heidelberger of South Christian Elementary was sixth at 3.5 points, Nathaniel Dyer of Murray Elementary was seventh at 3.5 points and Boran Song of Murray Elementary was eighth at 3.5 points. The tournament provided participants with the opportunity to get 12-month memberships in the U.S. Chess Federation at a low cost. Students have to be members of the USCF to participate in scholastic chess tournaments throughout the year. Knight was pleased with the turnout for several reasons. “The big thing is these kids got (U.S. Chess Federation) memberships, and a lot of kids got trophies,” he said. The next tournament will be the Murray Scholastic, to be played Nov. 4.